When S. Shankar first introduced us to the humanoid character of Chitti in 2010’s refreshing Robot (or Enthiran), expectations were always on a high regarding its next installment. 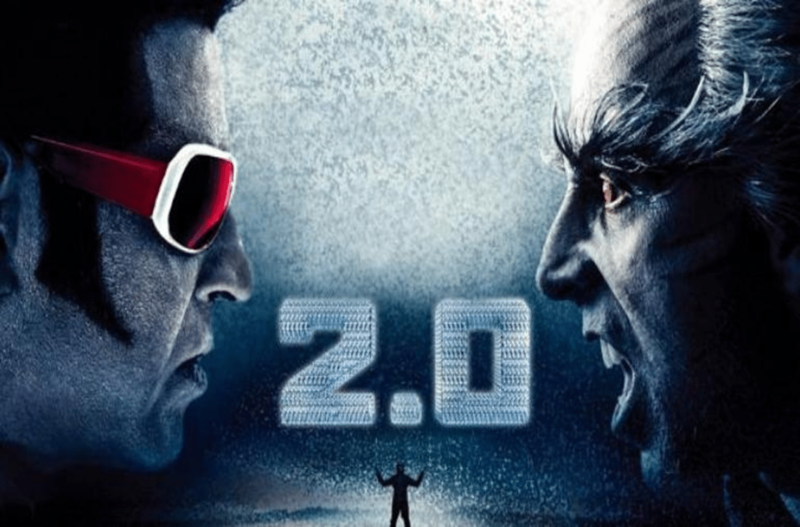 And the latest release, 2.0 is the sequel that surely and aptly nails it when it comes to surpassing the technical benchmarks of its predecessor. But there’s more to it than meets the eye, which needs to be understood now by the Indian cinema lovers. As cinemagoers and die-hard sci-fi fans, those who might have thought it would also kill it in terms of breathtaking story and plot, then sadly there’s nothing like that happening here in this extravaganza. Okay, agreed. But how long will it take for an Indian director, to do justice to the story in a movie as massive as 2.0? No hard feelings for director S. Shankar here; he’s a great Indian film director and there’s no doubt about it. When he helmed Robot back in 2010, it worked wonders because it was a totally new take on something like Artificial Intelligence-based characters and it served the purpose back then, that is, to entertain and mesmerize. But after that, Shah Rukh Khan’s Ra.One also came in 2011, and that movie too had everything right as far as the technical genius of comparison to Hollywood is concerned, but that movie also killed itself. Why? Because the director didn’t just focus on a straight simple superhero/sci-fi storyline that could have worked by keeping the characters as genuine as possible, without creating masala and drama by inserting utter nonsensical scenes and dialogues, and for what! After 2.0’s release, most of the people are also saying that we should support movies like these because they are not the typical, repetitive love rom-coms of Bollywood or any other overdramatic film that’s usually made in India for entertainment. And that 2.0 is different from those crap films. But how is it any different when the director of the film just couldn’t keep the storyline intact which makes you totally exhausted after a while, because it fails to keep you hooked. Just investing in huge cost and expenditure on special effects doesn’t mean that you’ve put an effort, and thus you deserve to get a credit. Its high time Indian movie makers and especially the directors realize this simple thing. It’s really very easy to understand but unfortunately, the present scenario is totally contrary to it. What was really required here was to carry the momentum of characters in a way the audience could relate to and want to understand more of them and their situations and perspectives. But in 2.0 only boredom prevails thanks to the carelessness on the part of the treatment given to the plot, that’s just so badly predictable. More: BoxOffice: Disney’s Ralph Breaks The Internet collects $22MN on Friday! Mind that this review is not an intentional attack or something on the film; not at all. But what the end result should have been, was just not there and that’s the reason 2.0 also gets added up to the collection of those Indian sci-fi films that were just made to be seen, ‘not for being remembered’. If over Rs.550 crores were spent just for leveling with Hollywood’s sci-fi flicks (some of which are masterpieces when it comes to the part of storytelling also), without thinking about making the film a great sci-fi Indian story ever told, then it’s a big shame. If you really want the Indian audiences to start appreciating the efforts that go into the attempts like 2.0, then the makers of the film itself should think of why, how, and what exactly they are making. It’s not that there aren’t garbage Hollywood sci-fi flicks; there are many. But the ones which are considered the benchmarks are also there in great numbers. And why is that so? Because the directors and makers do justice with the plot, by refusing to add any mindless and illogical element to the storyline or to any character involved. When that starts to happen in India too, it will be a memorable and defining moment for the Indian cinema. It’s not that 2.0 will also turn out to be a big box-office bomb like the officially deserving Thugs of Hindostan (that was another costliest Indian film ever made, turning out to be the biggest disaster of all-time), in fact, it’s already collected a great amount from the ticket sales. Akshay Kumar and Rajinikanth have put their efforts, but the film hasn’t, on the part of the ‘script and its power’. It could have been a great powerhouse performance packed film, with all the VFX and technical prowess combined. From the beginning till the end, everything that runs on the screen just doesn’t matter unless it’s a great VFX scene and thank goodness that at least that aspect is mind-blowing for 2.0. It’s the only thing worth watching in the otherwise weak story-driven movie. And if you get the chance of watching it in 3D, just go for it once. It will make your jaw drop. More: 10 MCU Movies Coming in Next 4 years By Disney’s Marvel Studios: 1 film dropped!! !